Surrey Section Talk on the 12 September 2018 by Peter Ashley about his Café Racer and its many Incarnations over a Thirty-Year Period. Peter Ashley’s Norton ES2 has been rebuilt more than six times and each time it has been improved and made to work and ride so much better than the last time. 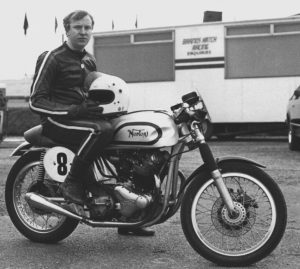 It is still 500cc and it is still a very recognisable Norton ES2 Norton single. His objective was to build a bomb proof Isle of Man bike; and it had to be better and faster than his friend’s Velocette. It all began with a Wideline featherbed frame, bought in 1982 from Birkenhead. 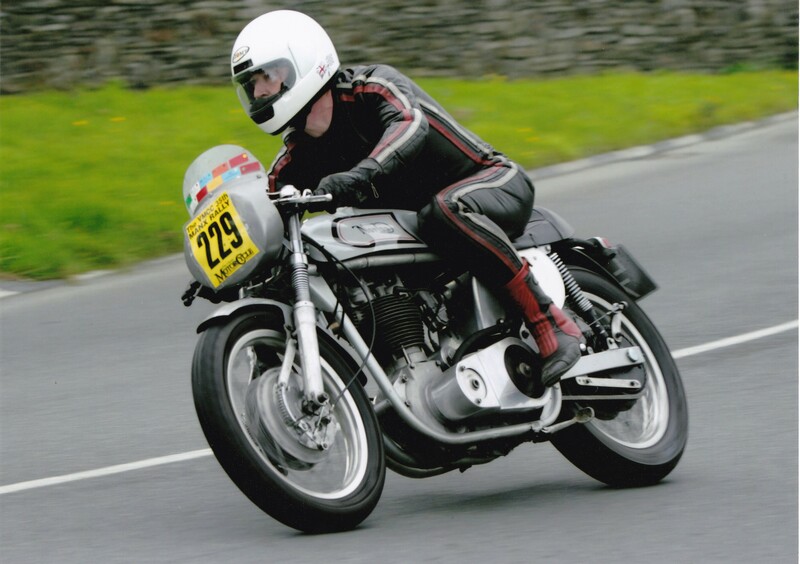 With a blown-up Commando Interpol donor bike from Reg Allen it soon became a CRMC F750 race bike. Having retired from club racing the engine was removed in 2000 to power his brother’s road going Commando. The empty rolling chassis was begging for a 500 single and further development. So, what to keep, what to discard, and what to modify? Peter showed us a very long list of all that had been changed in his quest for speed and reliability. He then offered any one a pint who could find a part on the whole bike that was still as it came from the factory. The forks have Lansdowne dampers, and one side controls rebound and the other controls compression. It uses a Suzuki four leading shoe front brake from a water-cooled Suzuki GT750, nick-named the Kettle. Dresda supplied the swinging arm, and the rear wheel is Commando with the Cush drive in the rear hub because the Commando clutch, unlike earlier models, does not have one. The frame has Timken taper roller bearing, or 30205’s, in the steering head and it has a Quaife five speed gearbox. It is geared for 110MPH pulling just short of this with no fairing. 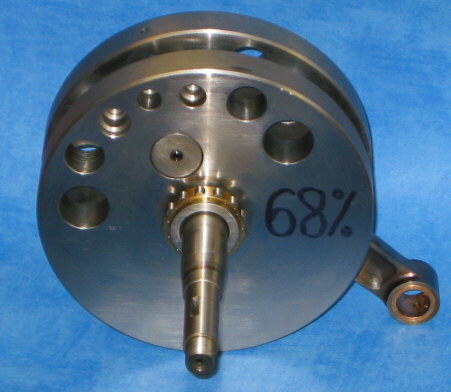 The crankshaft was made from scratch by Alpha Bearings with a stroke of 86mm, balanced to 68%. This makes the engine shorter stroke than the 350cc Model 50. The bike will cruise at 90 mph all day long. The engine may well need a Carrillo con rod in the not too distant future. The barrel was machined from a bare LM5 casting and Nikasil treated, needing no steel liner. There are only eight fins (9 are standard for an ES2 and a Model 19 has 11!). It weighs 2.1 Kgs, saving 3.5kg on the standard item. Piston to bore clearance is minimal and the short-stroke engine uses very little oil. 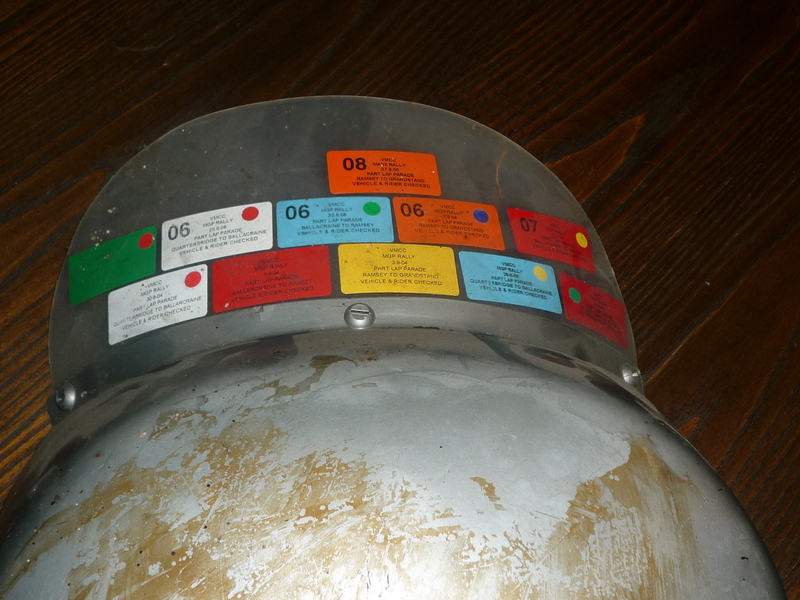 The top of the barrel has pockets for O rings on the oil return from the head, and these are the only gaskets in the entire oil-tight engine. 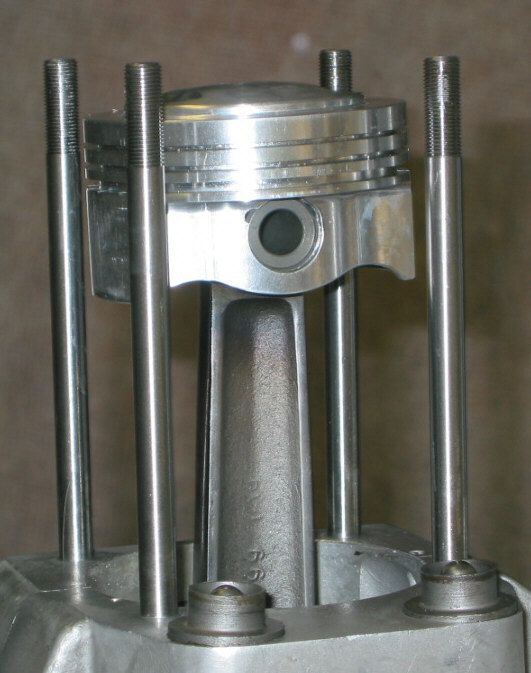 The piston is an 86mm slipper piston from a bevel drive Ducati 900SS, making the engine perfectly square. The valve pockets are milled for the slightly larger 90 degree stem angles. 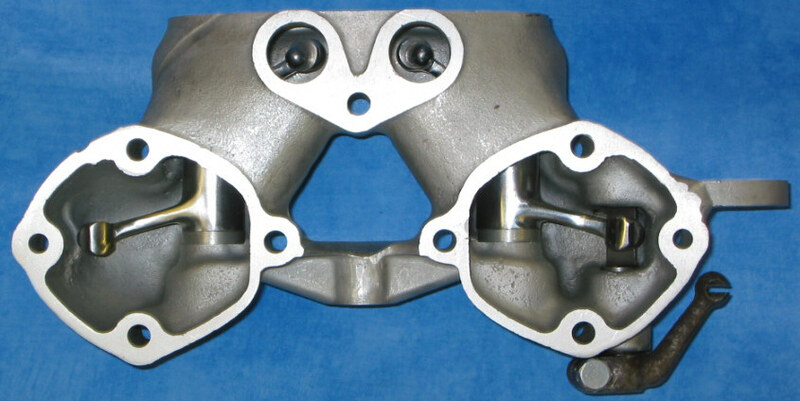 The cylinder head began life as a standard Norton part in the early 1960’s. 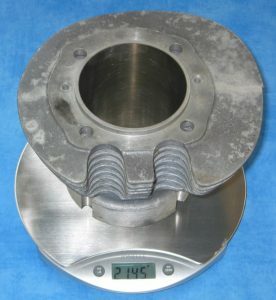 Extensive welding has improved the combustion chamber, inlet tract and head steady. Smaller diameter valve stems allow smaller diameter guides and therefore occupy less of the inlet and exhaust ports. With less reciprocating mass, smaller and lighter valve springs are fitted. Rockers are polished, lightened and shimmed to replace the standard Thackery spring washers. Offset pushrod buttons increase the lift from the cams. Peter explained that the Commando clutch is an extraordinary piece of design and copes faultlessly with the abuse necessary to get the best from a tall geared single. With an extra plain plate, the action is light. Peter then went on to say that the the Commando’s clutch spring does not obey Hook’s Law, so it is important to set the clutch bite pressure at the easiest lift point. Previous attempts to improve clutch action included modifying the clutch cam and removing some radial fingers from the diaphragm, but these were not effective. The excellent but expensive Quaife five speed cluster probably added the most to the bikes rideability. It is fitted into the standard Norton casting and built to give a one up, four down box. The kick started mechanism was removed long ago when racing as a F750 in the 1980’s so it is a run and bump every time. Peter showed a video clip of starting the bike in the IOM, bumping the ES2 into life for it to make such a glorious sound as headed off down the road which we recognised as the venue for the Ramsey Sprint. Peter then went onto explain to us all how to find a perfect TDC and set the permanently attached degree disc so that ignition and valve timing can be developed more easily. Four cam profiles have been used over the years. The original Norton cams were replaced with Joy cams, followed by a special half race profile developed with, and built by, Newman Cams. Finally, full race cams were supplied by Mike Pemberton, who has also undertaken much of the recent cylinder head work. The ignition is an independent self-energising electronic unit supplied by Tony Harris the then owner of BTH, who coincidentally also supplied the bare LM5 cylinder casting. Ignition timing is set at 35 degrees BTDC. An alternator powers the lights and the horn with a solid-state regulator in place of the original Zenner diode and silicon rectifier. A Lucas 2MC capacitor sits in the circuit where the battery should be. The bike has a very small frontal area; the foot rests are mounted on the swinging arm pivots and clip-ons are fitted below the top yoke. Leathers are essential not only to reduce drag, but to ensure you don’t expose your kidneys and natal cleft to the Velo behind! (This is what the great engineer Peter Williams did when he made the JPN Norton’s so competitive in the 1970’s. This is also how Moto Guzzi managed to make their own single cylinder racers so much faster and very competitive.) The bike has a Manx Norton front screen and retains the IOM Scrutineers stickers from many visits. The “speedo” is an electronic recording device, calibrated to within 1%. During the VMCC Rally closed lap it recorded a top speed of 107MPH on the Mountain Mile with only a fly screen and number plate. The bike weighs143Kg and produces about 40BHP at the back wheel. So, yes, it is much faster than his friends Velocette! We are all grateful for the support from John Blades and Mike Duffell who brought and set up the projector and sound system, stepping in for Simon Smith who is on holiday. 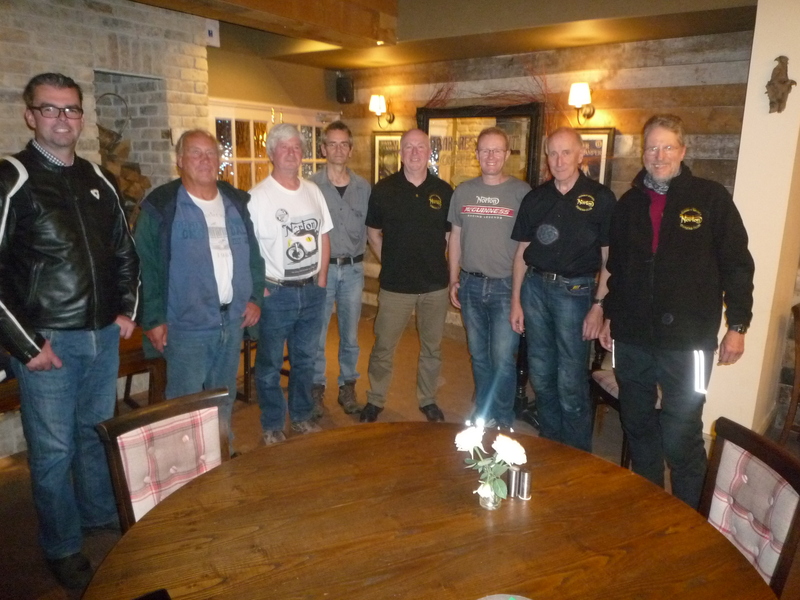 A warm welcome from the Branch to John Summerfield, a newcomer who has just bought a 1928 Model 18 Norton single! We hope to see the two of them on our stand at the many shows that the Surrey section attends. 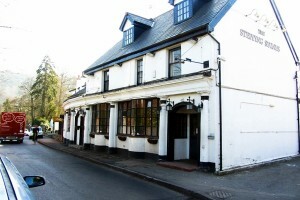 The Surrey section always welcomes new members to our club room. John was in deep discussion about his new bike with Dave Cooper another of our very well informed members who knows so much about the single cylinder Norton’s. Can we all at the Surrey section give a huge amount of thanks to the brilliant Peter Ashley for a very memorable night’s talk, and those that could not attend you missed an incredible talk by a very talented engineer and all-round wonderful man. One would suspect that Peter has a degree in some specific engineering field, but alas he does not, as I asked him what his degree that he had was for. His reply was that it was in Biology which makes what he has achieved with the building and modifying of this ES2 even more of a remarkable achievement. Peter in action on the Isle of Man!